God who created and saved me in the person and work of Jesus. My Darling Bride, my greatest blessing here on earth. Our three wonderful kids, growing up fast. My Mom (and Joey), also celebrating milestone birthdays this year. My brother Greg and friend Patty, proof that loved ones with very different world views are an asset to anyone's life. My brother Derek and his family, I'm enjoying watching them grow a family of their own. Jennifer's parents, especially thankful that they don't invoice me for all the life coaching they provide. My Dad (and Glenda), involved in our family's life. My high school friends, one of the very few reasons I'm on Facebook (especially friends from the Aylesworth Junior High era). My college friends, proof of the old saying, "friends are those who know everything about you but like you anyway." My extended family - grandparents, aunts, uncles, cousins, both my side and Jennifer's side. My accounting career, allowing me to serve others, provide for my family, give to others in need, create wealth for my employer, and participate in society outside my doors. My current employer, even though we've only been together a short while, it has been a great month full of promise and optimism for the future. Speaking of doors, my home, a place of safety and security. Our local church, College Park Church, all healthy well-balanced churches are a gift to us until Jesus returns. It is easy to forget that good churches are hard to find. My College Park Church friends, you motivate me to right living and pursuing Christ-likeness. My Bible - not God's letter to us if He were here, but God's letter to us because He is here. Our cats - past, present, and future - an opportunity to be stewards of God's creatures. Indiana State Parks - a glimpse of God's creative glory. The Great Lakes, especially Lake Michigan, beautiful and displays God's power. Good books - the world's greatest minds, past and present, at my fingertips. And electronic books are not quite the same. Bicycles - exercise that's so much fun, I forget I'm exercising. Disc golf - golf on a budget. Regular golf - I'll get back to you someday, I promise! Baseball - the greatest game ever invented. Chicago Cubs - my favorite baseball team. Chicago White Sox - a special place in baseball favorite-ness because in 1977 my first baseball game in person was a Sox game, courtesy of my grandparents (so a tribute to them). Basketball - the second greatest game ever invented, with all due respect to Dr. Naismith. Hockey - something to keep us busy while waiting for baseball season to come back. Chicago Blackhawks - one of the greatest hockey teams ever, and perhaps the most awesome uniform of all sports teams. Strawberries - my favorite food ever. Cheesecake - my favorite dessert. Or is cherry pie my favorite dessert? A well grilled steak - my favorite dinner. Boneless chicken wings - my favorite lunch. Ice cream - no explanation necessary. Coffee - not that I like coffee per se, but I like the intentional break coffee affords, especially when enjoying a quiet moment with Darling Bride. Pepsi - despite the fact that it is perhaps the biggest obstacle between me and my ideal health and fitness level. Sunny warm days, because I still love to play outside. Snow will never be on this list. Christmas as a Christian Holiday - celebrating the birth of our Savior. Easter - celebrating the resurrection of our Savior. Also makes Christmas relevant. Christmas as an American Holiday - a time when most of my world stops, and opportunity to celebrate family. Music on vinyl LPs because there's something timeless about vintage jazz played on a vintage medium. 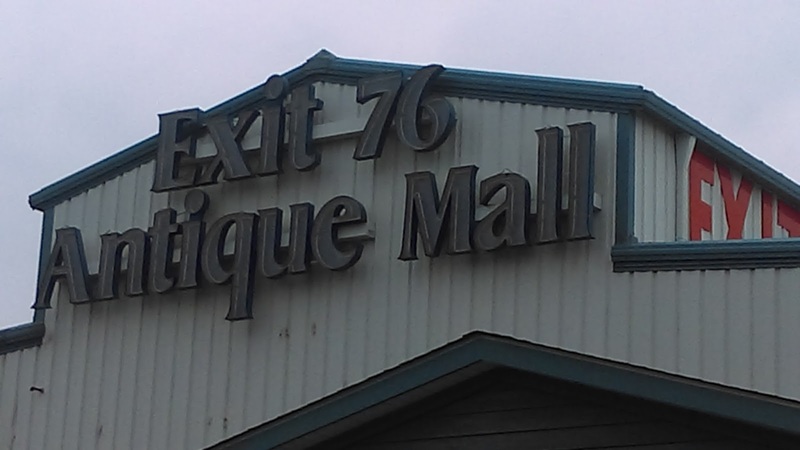 Antique malls - free museums and the whole display is also a gift shop! Our pair of Dodge Grand Caravans - reliable transportation is so easy to take for granted. Our country and American way of life, despite the ever-growing threat of liberalism, still the greatest place to live in the world. The anticipation of Heaven - as real as this life on earth, and a reminder that I have dual citizenship. Thriftiness: Got my first full payday with health insurance, etc. deducted. Now that I know what our income is, I can work on our budget. Health and Fitness: Eating better, especially with Darling Bride now making homemade yogurt, and I'm limiting, but not eliminating, snack food at work. But I've got to get on the exercise bike! I set a goal of doing it three times this week. If I try hard, I may get one ride in today. Authentic Worship: I confess that I give into the temptation of being discontent with my local church. But I am choosing to put that aside and understand that I have been blessed beyond measure by the pastors and friends that I have there. Loving Relationships: Working on the habit of giving others my focused attention, still a work in process. Disappointed that we can't go visit my Mom this weekend for my upcoming birthday (due to weather not safe for driving), but we will get there soon and we'll make up for it by going out for lunch, then to Half Price Books, and then to an antique mall. Worthwhile Learning: I'm caught up with the newspaper. I was going to read One Thousand Gifts by Ann Voskamp, but Darling Bride got to it first. Good TV watching choices this week. Avoiding the time wasters. Getting busier at my new job. That helps. Challenging assignments keeping me on the ball. 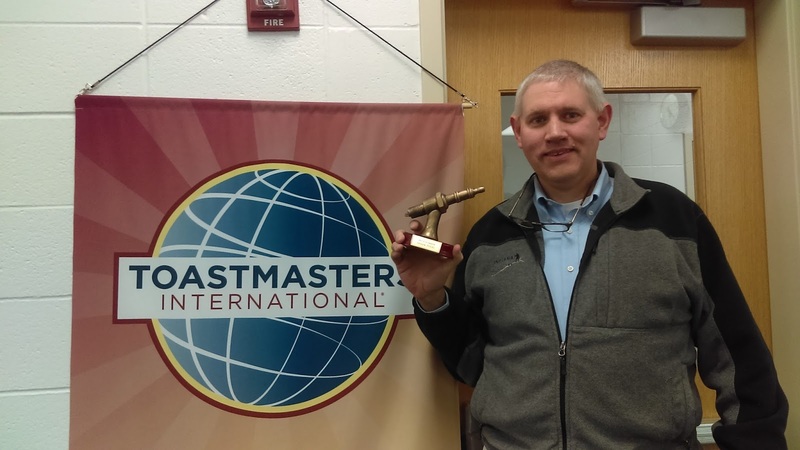 This week at my local Toastmasters club, I spoke about my Contentment Project. I think I made an impact on myself and my club-mates because I made it personal. Each week one club member gets extra recognition for going above and beyond, my turn was this week. Harder to do with work getting busy and I come home a little tired. I'll work on it this weekend. I have a lot of negative inertia when it comes to bicycling inside. It seems like work. I know that if I do it, I will be glad I did, so I have to get up and get going. Learning new clients and a new system at work will continue to be a challenge. If I keep at it though, I see where I will be blessed by this opportunity and be a blessing to others. Be ready for overtime coming. This Saturday (January 16) is my last Saturday off until April. At College Park, we have "Fighter Verses," a verse a week we are challenged to memorize. I intend to do it this week. Looking forward to celebrating my birthday this week. How are you doing on your New Year's Resolutions? others have to work at it. For 2016, I'm undertaking a Contentment Project. I've identified specific areas in my life I want to improve, such as health, fitness, loving relationships, etc. This week it occurred to me, what is contentment anyway, what does that look like, and should I be even concerning myself with a self-centered focus? A dictionary definition of contentment says, "the state of being happy and satisfied..."
Sounds good to me, most people like to be happy and satisfied. Could be a little bit shallow, though. Since we are created beings, I decided to think take a look at what the Creator has to say about contentment. Where do the words "content," "contentment," etc. appear in the Bible (using the English Standard Version) and what could I learn from those examples? Luke 3:14 - Soldiers also asked him (John), "And we, what shall we do?" And he said to them, "Do not extort money from anyone by threats or false accusation, and be content with your wages." God expects upright conduct from his people. What that tells me is that the foundation of contentment includes doing what I am called to do in a morally right manner. 2 Corinthians 12:10 - For the sake of Christ, then, I am content with weakness, insults, hardships, persecution, and calamities. For when I am weak, then I am strong. Philippians 4:11-13 - Not that I am speaking of being in need, for I have learned in whatever situation I am to be content. I know how to be brought low, and I know how to abound. In any and every circumstance, I have learned the secret of facing plenty and hunger, abundance and need. I can do all things through him who strengthens me. Life is full of difficulties. For Paul, the setting of his difficulties included proclaiming the good news of Jesus in a 1st century culture where most people didn't want to hear it. For me, I create a lot of my own difficulties by falling short of where I'd like to be. In addition, leading a family in a fallen world getting more and more hostile to the things of God is getting more and more difficult. Paul, though, through his example shows that contentment includes living amid life's difficulties by trusting God in such a way that I can do all things through him who strengthens me. 1 Timothy 6:3-8 - If anyone teaches a different doctrine and does not agree with the sound words of our Lord Jesus Christ and the teaching that accords with godliness, he is puffed up with conceit and understands nothing. He has an unhealthy craving for controversy and for quarrels about words, which produce envy, dissension, slander, evil suspicions, and constant friction among people who are depraved in mind and deprived of the truth, imagining that godliness is a means of gain. Now there is great gain in godliness with contentment, for we brought nothing into the worlds, and we cannot take anything out of the world. But if we have food and clothing, with these we will be content. True teaching correlates with godliness, There also seems to be a link between false teaching discontentness that tempts us to greed. Think about false prosperity preachers with their big churches, big homes, and extravagant lifestyles. Pursuing God isn't a means to pursuing excess wealth, but pursuing God for his own sake leads to contentment. So, pursue God and his truth for his sake, not necessarily for the goodies he could provide. Hebrews 13:5 - Keep your life free from the love of money, and be content with what you have, for he has said, " I will never leave you nor forsake you. So we can confidently say, (quoting Psalm 118:6) The Lord is my helper; I will not fear; what can man do to me?" lest I be full and deny you and say, "Who is the LORD?" or lest I be poor and steal and profane the name of my God. So, trust God for provision, and at the same time don't be discontent if my definition of provision is different than God's. pursuing contentment must include upright conduct, embracing truth and rejecting falsehood, accepting God's provisions of blessings and trials, and sharing God's love with those who would listen. Next week: How is my Contentment Project doing a half month into the new year? For a while I tried to deny it, but turning 50 in 2016 has been on my mind for some time. Fortunately, I have the presence of mind to avoid over-the-top mid-life crisis things like buying a red sports car; instead I bought the book Better than Before by Gretchen Rubin. It is a book about forming positive habits. The big takeaway I gained from reading it is understanding my own strengths and weaknesses in the context of habit so that I know better how to better train myself in putting on good habits and putting off bad habits. 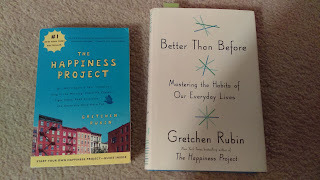 Inspired, I followed up with Gretchen's earlier book The Happiness Project. That book is a one year record of pursuing happiness through focusing one one specific resolution each month for twelve months. Lack of contentment has gotten me into trouble in the past - spending more money than I had, visiting different churches instead of sticking with our home church, watching TV instead of engaging with family and friends. All this while being gainfully employed, happily married, and raising three healthy, smart kids. So eradicating discontentment and putting on a grateful heart would be a great birthday gift to myself. Similar to Gretchen's approach that considers one focus per month, I have identified different areas to cultivate contentedness and specific things I can do to practice contentment. I've decided to go against The Happiness Project approach of prioritizing one specific a month (For example January = Health and Fitness, February = Work Habits, etc.) I know this is a risky proposition because I may be taking on too much at once. On the other hand, if I'm in the Loving Relationships month, what about my Work Habits? Therefore, I'm reframing each of the above resolutions as subsets of one resolution, Contentment, and challenge myself with one large Project instead of twelve small ones. Seems as if this is a great year to do it! Since this is going to be a milestone birthday year, and I won't let myself forget it, why not take every thought captive and celebrate it all year conforming myself more like the person I want to be? Next time: Thoughts and action points on Bible verses about contentment. This will get down to double zero before you know it! A few years back there was a knock at my door. An apparent local high school student. Apparently selling something. I opened the door. He is fundraising for high school band by selling Christmas (note to liberal readers: please insert "holiday" whenever you see Christmas so that you won't be offended) items door-to-door via a catalog. I like Christmas, a lot, so I'm sold and I haven't bought anything yet! I look through the catalog and I find a Santa Claus figure holding a proportionately large Christmas-wrapped box with the caption "Days 'Til Christmas" and a countdown dial. That's what I ordered, along with maybe some wrapping paper. When the figurine arrived, I found that the countdown went all the way up to 99, compared to some Christmas countdowns that only go to 25 (as in December 25, I suppose). Nice. So I wondered when I'd have to start counting down if I started with day 99. Today is the day! September 17 is 99 days until Christmas! It could also be sunset on September 16 for those like me who consider Christmas Eve to be the beginning of Christmas. Therefore, the countdown to Christmas is officially on! In terms of weeks, 14 weeks and 1 day. Do we have a suitable photo for our annual Christmas card? What's our shopping list this year and for whom? What is the budget? Cookies - how much and how healthy? Alternatives to cookies? Example: Kale is green. Green is a Christmas color. Kale cookies! If you are a last minute person, opportunity to make a change is knocking! (just like the high school fundraiser) You've got 99 days! What can you do today to replace stress with eager anticipation this December? Until now, I've been emphasizing the American Cultural Christmas. In my world, there is much value in some aspects of what happens during the end of December. School has an extended break time. Work slows down and has a lot less pressure. Sappy movies with happy endings. Christmas presents! Both giving and receiving! As much as I love those things, though, there is a foundation that makes them worthwhile. Once upon a time the Creator of the universe invaded time and space in the person of Jesus, lived the perfect life we could never live, and took the punishment for our sins, and rose from the dead to prove both the sufficiency of his sacrifice and his Deity. That's something to get excited about today and every day. This past Sunday my Mom, Darling Bride, two youngest, and I rode the Prairie Duneland Trail in my hometown. Thank you to Darling Bride's for writing about it too! It was a fantastic day because I got to spend a few hours doing one of my favorite things with some of my favorite people. This Outdoor Season my family and I started embracing the bicycling trail lifestyle. By trail, I mean the wider-than-a-sidewalk-paths-for-walking,-hiking,-and-bicycling-many-of-them-were-former-railroad-beds. Ah, Saturday Mornings pedaling away the miles and the day with Darling Bride and as many kids and parents / in-laws we can get to come along. When the kids were little I used to bicycle on the Monon Trail just north of Indianapolis by myself for exercise purposes. I didn't ride it a lot because I'd rather be with Darling Bride and the kids instead of riding alone. As a family, we would bicycle around the neighborhood. Then their teenage years came (the kids, not Darling Bride). The neighborhood wasn't enough. Bicycling though city streets is too dangerous for the risk. Thank you to visionaries who started the rails to trails movement back in the 1980s! Once upon a time, as railroads were abandoned, pioneers in the rails to trails movement saw the value of converting former railroad lines into pathways for walking, hiking, and bicycling. They are getting more popular, and cities are even building trails that aren't originally rail lines for the purpose of connecting more people to the main trails. The trails are getting more actively promoted both private advocates such as the Rails-To-Trails Conservancy (national) and Indiana Trails (my home state). Our state's Indiana Department of Natural Resources also promotes our trail system. What makes them so amazing is that we then get to go on a bike ride together as a family with lessened concern over competing with cars. There is still the etiquette of sharing with faster bicyclists, slower bicyclists, walkers, and runners, but we're working on that. Not only have we been to the Prairie Duneland Trail, but we've also had opportunities to ride throughout Central Indiana and I can appreciate the hard work that has gone into creating these trails. By the way, the Prairie Duneland users get kudos for being the friendliest we've come across so far. Fitness riders, families with young children, casual riders of all ages and abilities. I remember the railroad that used to be there, too. The trail system in Plainfield, Indiana. Carmel, Indiana is great, but the Monon trail has some of the most discourteous users we have encountered. They've even had to pass special ordinances because of that. The cities just south of Indianapolis are still in process. We do have a trail close by, but we still have to drive to get to it safely. More bike paths we can get to from home are being built even today, we need to wait for it to connect to the trail. Darling Bride thinks we can make it, and I hope so. I'd rather our city invest more in trails than renovate their community center to try and compete with private fitness facilities, but that's just me. A trail in process with its trailhead at Indiana Dunes State Park is currently in construction, and the plan was introduced as early as about 2006. Not only do we get the kids out from in front of computers for a couple of hours, Darling Bride and I get ourselves out from in front of TVs. After a week of desk work, I could use more outside time and less TV time. I appreciate how Darling Bride has been championing the cause. She's researching other trails around Indiana and is working toward putting together what she calls an "epic ride" for us. We've invested in bicycle carriers, but for those starting out maybe you can convoy with a van and a car. We did for our first ride this Spring in Franklin, Indiana. We put our bicycles into one van, kids in the other, and made the trip. Sure beats riding in the street without a helmet, like I did during the 80s. In the 90s I'd go to state parks and larger local parks to ride to beat the traffic. If you get a chance before Outdoor Season comes to a close, find a local trail with your family and invest the time to go on a ride. You'll be glad you did. A Labor Day Weekend question: What does "Summer" mean to you? Once upon a time, I thought of Summer as the ultimate, a three month recess from the responsibilities of life. Sure, responsibilities = school back then, but when school was out, play time was in! Tennis, baseball, bicycling, beaches and swimming pools, a veritable smorgasbord of fun starting Memorial Day weekend and ending Labor Day Monday. Even my hometown beach, Indiana Dunes State Park, is on that schedule: lifeguards start 11am Saturday of Memorial Day weekend and finish for the season 6pm Labor Day Monday. Back to School Tuesday. That routine was further reinforced because my Mom was a teacher, so the whole house had the Summer off. As a grown-up, that routine hasn't left me. Even though my career doesn't give me three months off like school did, I've always had special fondness for what June, July, and August represent. As homeschooling parents, we built our calendar around that model. Even our church. Sunday School and youth commitments followed a typical school year calendar. That paradigm is a discarded relic of yesteryear. That hard truth has been rocking my world. My first loss of Summer innocence was one junior high school year sometime in the early 1980s. Portage Township Schools (Indiana) had the audacity to start the school year on August 27. For the first time, school started before Labor Day. Summer vacation would never end on time again. Today, with balanced schedules, band camps, work, and other schedule creep items, the Summer State of Mind is gone. Even state park swimming pools reduce their hours in August because they cannot get enough life guards. Rather than give in to despair, time to turn this problem into an opportunity. It is hard work, but I'm taking the attitude of what I'm calling "outdoor season." Better yet, "Outdoor Season" (the capitalization representing its importance). My new season starts on or about April 16 and continues through the end of October. April 16 because I'm involved in income tax accounting. The filing deadline for individuals' returns is April 15. Warmer weather is coming, baseball season is underway, and mandatory overtime is over! The Season ends in October once our wedding anniversary, Darling Bride's birthday, and Youngest Son's birthday come and go that month. Colder weather is more the norm, baseball playoffs are wrapping up, and Daylight Savings Time is coming. That means soon it will be dark around dinner time. It is true that Outdoor Season does not mean a 6 month recess. Work, school, and other commitments are always there. Instead, play time co-exists peacefully with responsibilities. Come to think of it, responsibilities are good gifts from God too. Mid September through most of October is turning into one of my favorite times of the year. With cooler weather, schools having Fall Break (during Darling Bride's birthday, no less! ), I've been taking time off from work and enjoying fun fall stuff. Even my favorite bicycle tours take place in September and October. Indiana campgrounds have lots of special activities in the fall. Rather than lamenting the end of Summer this Labor Day Weekend, I'm celebrating! What does summer mean to you? Has the significance of that season been lost? What can you do about it? "Jeff Hoots, Family Adventurist", "Adventures, misadventures, and lessons learned leading my family, following Jesus, and serving in business" and "Four Family Waypoints" are trademarks of jeffhoots.net and its author. Copyright 2015 by Jeff Hoots. Picture Window theme. Powered by Blogger.